The Denver Broncos team comes from the state of Colorado and it’s part of the American Football Conference (AFC) West division. Their current home stadium is the Broncos Stadium at Mile High. The Broncos were formed in 1959 and joined the National Football League during the 1970 merger of the American Football League. This American football team is owned by the Pat Bowlen trust and their head coach is Vance Joseph. In their early days, the Broncos weren’t considered a particularly successful team from their early days until 1973. Since 1975, they’ve been dominating the NFL, becoming the league’s most successful teams. As previously mentioned, the team was founded in 1959 and began playing as part of the now defunct American Football League (AFL). They were assigned the AFC after the AFL merged with the NFL in 1970. From 2012, the main uniform color of the Denver Broncos are orange, navy blue, and white. Their mascot is Miles, a horse with an orange jersey. The Broncos have three main rivals in the AFC West division, namely the Kansas City Chiefs, Los Angeles Chargers, and Oakland Raiders. Historically, they’ve also had rivalries with the Cleveland Browns, Pittsburgh Steelers, and the New England Patriots. Looking at the performance in the AFC, they’ve been successful in making to the divisional playoff in 2011, 2012, and 2014. In 2013, they made it to the Super Bowl XLVIII finals but they lost to the Seattle Seahawks. However, in 2015, the Denver Broncos won the Super Bowl 50, beating the Carolina Panthers. With the current performance of the Denver Broncos, they’ve worked their way into being considered one of the most successful NFL teams around. In total, they’ve lifted the Super Bowl trophy three times – in 1997, 1998, and 2015. 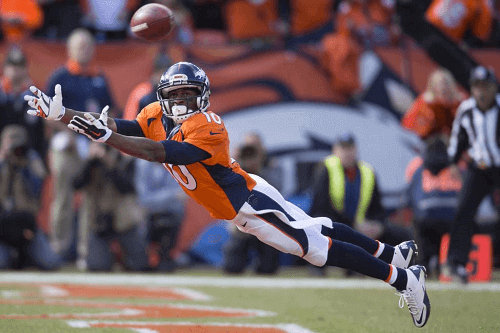 It seems like the Denver Broncos are fan and bettor favorites when it comes to the NFL. While, betting on them may guarantee you some returns, the payoff may not be that big.